Control Package – the electrical system that runs each zone, the rain sensor, smart controller, etc. To keep these elements in good working order, it’s important that your lawn sprinkler contractor is certified in both irrigation and backflow testing. The Irrigation Association is the leading certifying authority for lawn sprinkler contractors and companies. To become certified with IA, providers must prepare for and pass relevant exams. To keep certifications relevant, contractors must engage in continuing education that keeps them knowledgable about latest advancements in the field. Certified Irrigation Technician – This is the first certification we ask our technicians to achieve. This ensures they know the basics of maintaining and repairing lawn sprinkler systems, like proper watering and using the right equipment at the right size. Certified Landscape Irrigation Auditor – This certification tests the technicians ability to optimize a sprinkler system for healthy plants and water-use efficiency. Certified Irrigation Designer – This certification ensures the service provider can design and install effective irrigation systems. Certified Irrigation Contractor – For the business owner, this certification tests knowledge of business law, insurance and customer service. Apart from irrigation certification, lawn sprinkler contractors need to be certified in backflow testing. 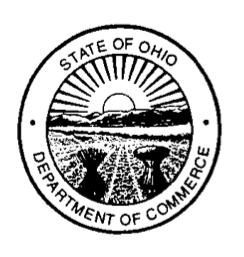 The backflow device protects the safety of your drinking water, and the state of Ohio requires your device to be tested and certified annually. Does your lawn sprinkler company have these certifications? If you’re not sure, ask them! Continuing education is important to TriState Water Works, and we ask our technicians to devote 40 hours per year to training and certification. We know that a well-educated technician will care for your sprinklers and landscaping best!